This was a big adjustment. For years, I was addicted to my phone blinking and buzzing. Every text, email, and mention drew me deeper and deeper into my phone. I was at the mercy of my device. So I turned it all off, and it helped enormously. It led to more focus and fullness; I could concentrate for longer periods of time and enjoy more of the world around me. If you’re taking a walk or eating something yummy or just sitting in your bed, spend 10 extra seconds just…experiencing. Savor that bite a little longer, soak in that sun a little more, and laugh a little longer at your favorite show. See if you can accentuate the simple experience and squeeze more from it. It brought me richer satisfaction to normal, regular moments. At my age, we make so much time for our friends. But I realized, many of my closest family — especially the generation above — didn’t get to experience the little things were happening in my life. So invite them into your world — even if it’s just a quick phone call or email every few months. This small act of sharing helped gave me new appreciation on smaller wins around me. 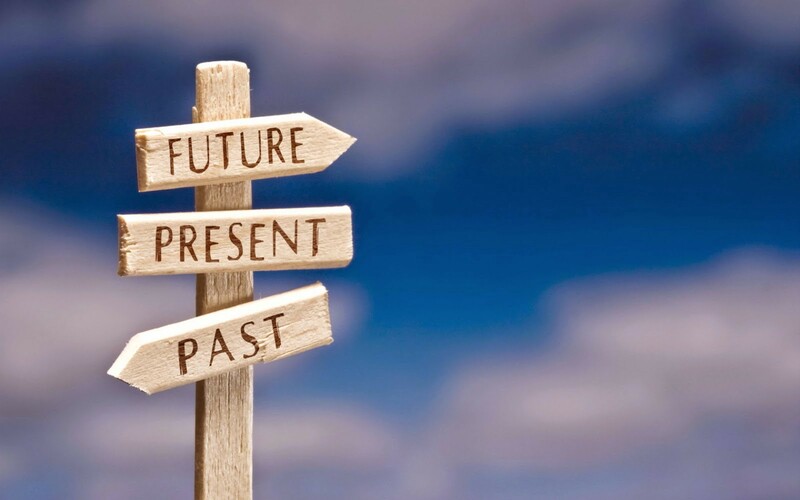 Reflection on the past and future is not necessarily a bad thing. But for me, indexing too heavily on my past and future kept me from enjoying the little gifts of the present. Hope you take a moment to enjoy your today too! Product Marketing at @LinkedIn. Previous: AdRoll, Apple, and Sabre. Graduate of @UTAustin. Enjoys tech, tinkering, improv and a good bagel.